The Western Indian Ocean is a coherent biogeographic, climatic and socio-political region encompassing the western part of the Indian Ocean, and recognized as one of the Regional Seas identified through the United Nations Environment Programme (UNEP). The warm tropical waters of the central Indian Ocean bathe the region’s coastlines, creating an environment suitable for coral reefs, mangroves, seagrasses and wide sandy beaches. 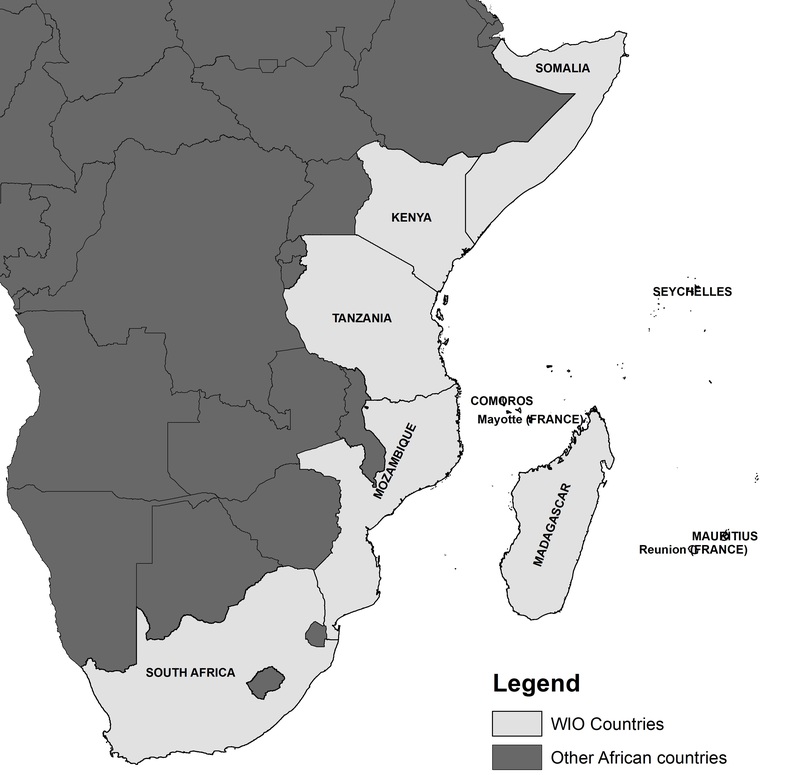 The region contains a diversity of sub-regions, including the second most important global hotspot for tropical marine biodiversity in the Northern Mozambique Channel, the Mascarene islands with among the highest levels of marine endemism globally, and zones of unique productivity associated with the Somali Current and Agulhas currents in the north and south, and the Mascarene plateau and banks in the centre of the ocean. In the Horn of Africa region, the need for marine biodiversity information to be incorporated into national spatial planning processes has been identified by the Biodiversity Management Programme of the IGAD Secretariat, and supported through EU funding for trans-boundary marine spatial planning projects in Djibouti and in Kenya/Somalia (see projects pages) during 2012-2016. In 2016-17 a focused marine biodiversity data project at CORDIO was funded by IGAD-BMP, to support the development of database structures that can be sustained into the future, to support securing of marine datasets and making them more accessible online.